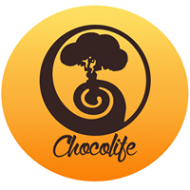 Choco Life is a new home based startup. We specialised in homemade Cakes & Chocolates. We only use the best organic ingredients for our products. We try our best to delight customer with rich taste of Cakes & Chocolates.We simply Don't Stock our products & prepare fresh chocolates & Cakes on customer's Order in hygienic environment. Many times our customers ask for specialised receipe.Choco Life supplies special orders for Chocolates in Gift packs for various occassions like Diwali, Raksha Bandhan, Valentine Day etc. and cakes for Birthdys and Weddings.Choco Life hosts hobby classes for Chocolates, Cakes and Ice Cream from time to time. One can learn different recipes and can make it his/her home. stay in touch on social media or simply Contact us by email/phone to know about upcoming batches. Choco Life conducts classes in Cooking. It is located in Badsala, Una. It takes Regular Classes- at the Institute and Online Classes- via online medium.